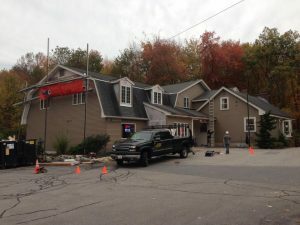 Licensed general contractor JT Glynn Construction has been building new homes in central New England for over a decade with a high level of attention, quality materials, and expert craftsmanship that ensures many years of comfort and satisfaction. Colonials, ranches, capes, and contemporaries – whatever your preferred style and design, all are built using the very latest in home building materials and modern construction techniques. The licensed general contractor construction experts here at JT Glynn Construction help our clients minimize energy consumption and maximize environmentally-friendly features by offering energy-efficient construction materials. A licensed, professional general contractor such as JT Glynn will use environmentally-safe building products for a healthy home environment and improved insulation, including low-loss windows for lower heating and cooling costs. There’s no shortage of licensed general contractors in central Massachusetts, but if you’re looking for a reliable, trustworthy general contractor registered, licensed, and fully-insured general contractor JT Glynn Construction is the area’s most respected full service contractor. JT Glynn’s experience and expertise as a home construction general contractor can save you money because we have the sources and relationships to get the best materials at the very best prices – as a highly-experienced licensed general contractor we know exactly what materials to buy and how much is needed to do the job right to avoid wasting time and money. We understand the entire home design and build process, including what permits and inspections are needed to ensure your new home meets all applicable building codes and is approved for occupancy. If you’d like to turn the home of your dreams into reality, contact the general contractor professionals here at JT Glynn. As a licensed general contractor, we’d love to tell you more about how we can make your dream home come true at the best possible price.